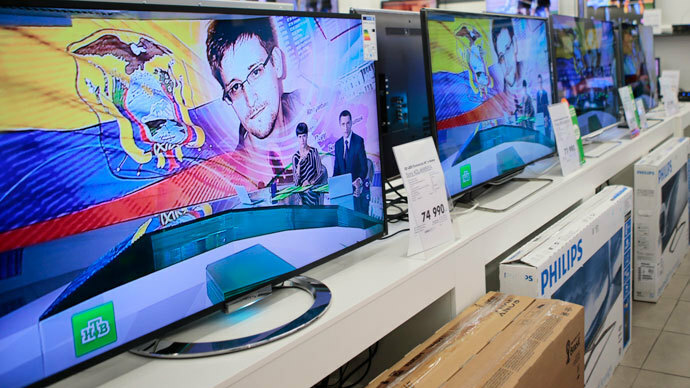 ‘An act of aggression and violation of international law’ is how Bolivia described the situation in which the Presidential plane was grounded in Vienna for almost 12 hours, over fears that Snowden could be on board. Austrian authorities grounded Bolivian President Evo Morales’ plane in Vienna early on Wednesday morning due to suspicions that NSA whistleblower Edward Snowden was on board. 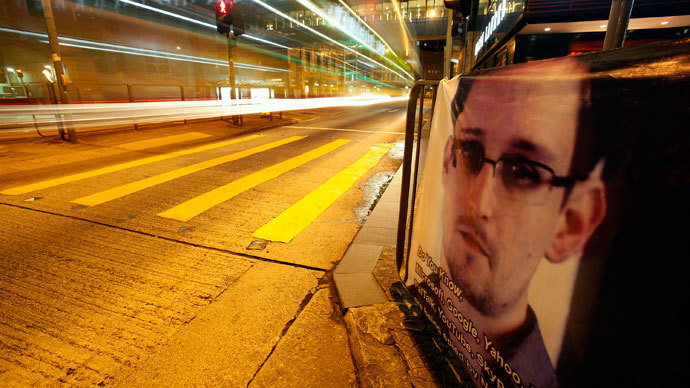 Morales allegedly refuted speculation that Snowden had stowed away on the plane and allowed authorities to conduct a search. “We're talking about the president on an official trip after an official summit being kidnapped,” Bolivia's ambassador to the United Nations in New York, Sacha Llorenti Soliz, told reporters in Geneva on Wednesday. The ambassador has pledged to make an official complaint to the UN. 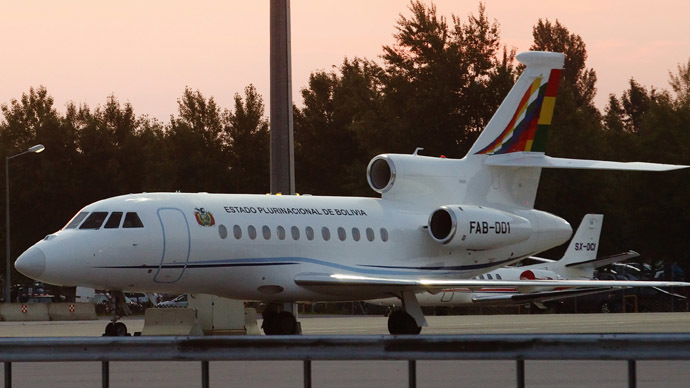 There are contradictory reports about whether President Morales’ plane was actually searched in Austria. 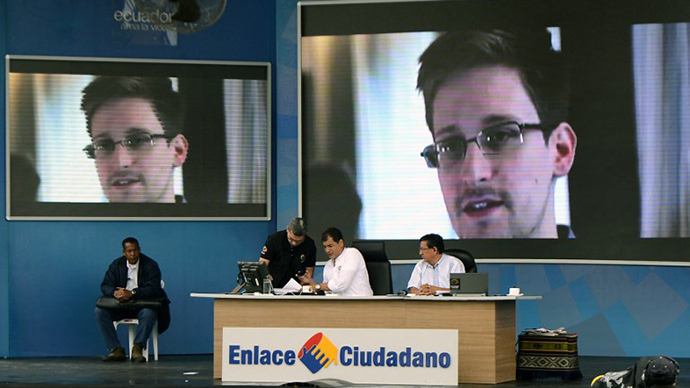 The Bolivian Defense Minister Ruben Saavedra said no one boarded the presidential aircraft - presumably to search for fugitive U.S. intelligence analyst Edward Snowden - because Morales refused them entry. 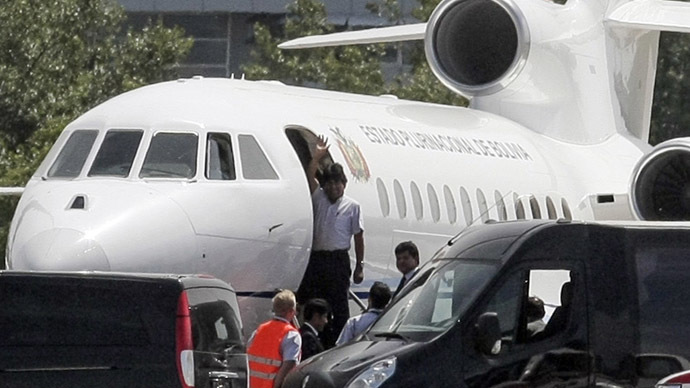 Bolivia's vice president said officials had made their way up to the door of the aircraft, according to Reuters. However, Austria’s deputy chancellor said earlier, appearing to cast some confusion over whether the plane was actually searched or not, that Austrian authorities searched Morales’ plane for Edward Snowden, but found no stowaways on board. "Our colleagues from the airport had a look and can give assurances that no one is on board who is not a Bolivian citizen," Austrian Deputy Chancellor Michael Spindelegger told the press. The plane has now continued on its journey to La Paz, with a refuelling stop-over in the Canary Islands. Morales called on the countries who had cancelled air permits for the presidential flight to explain their decision. “The governments of France, Spain and Portugal must explain to the world the reasons behind this delay,” said Morales, adding that these actions were indicative of the “repressive policies” of some EU countries. “This is an excuse to try and frighten, intimidate and punish me. An excuse to try and gag us in the fight against the dominant economic powers,” said Morales. “Of course, never been any intention of refusing President Morales’s plane access to our airspace; President Morales is always welcome in our country,” read the statement released by the French Ministry of Foreign Affairs. There was backlash in Bolivia where protesters burnt a French flag in front of France's embassy in La Paz. While, Maria Luisa Ramos Urgazagaste, Bolivian ambassador to Russia warned that those countries responsible for the incident would be held responsible. “From this moment on, if anything happens to President Evo Morales during the rest of his journey the only culprits will be those countries who orchestrated the shameful sequester of President Evo Morales on July 2,” she said in a statement to RT. “Obviously, this event contradicts the very logic of cooperation and co-existence of states. It also violates international agreements and international law,” he said in an interview with Spanish language RT Actualidad. 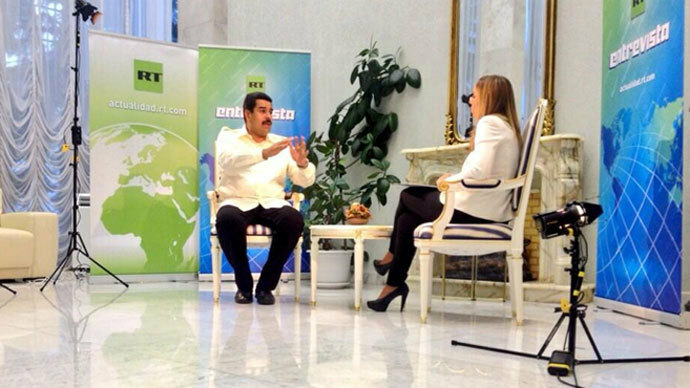 It was a display of “disrespect to the sovereignty of other countries,” the diplomat added. The Union of South American Nations – the region’s version of the EU – is going to hold a meeting to discuss the situation, the Ambassador said. “First of all, they’ll certainly strongly condemn such behavior. I’m sure that in future mechanisms to prevent such incidents will be found, so that what has happened would never happen to Evo Morales or any other plane…in case similar suspicions arise,” Covarrubias concluded. Morales finally flew out of Vienna on Wednesday morning after being detained for over 12 hours in the airport. He will stop in the Canary Islands to refuel before flying on to La Paz, the capital of Bolivia.